Hey y'all! 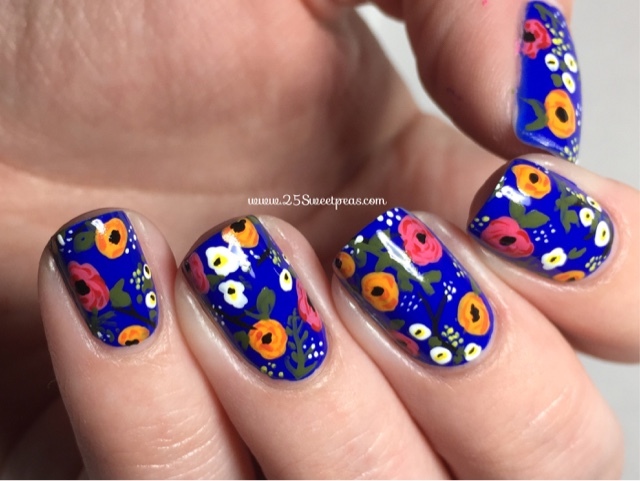 So I'm back with another floral! 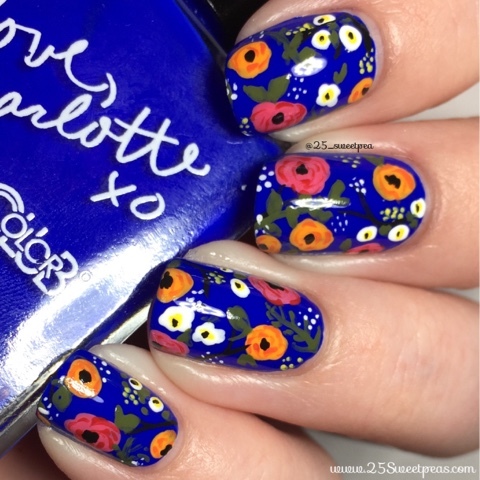 I don't know why but I think I am just on a floral kick and actually I love it! Ha, plus get this... 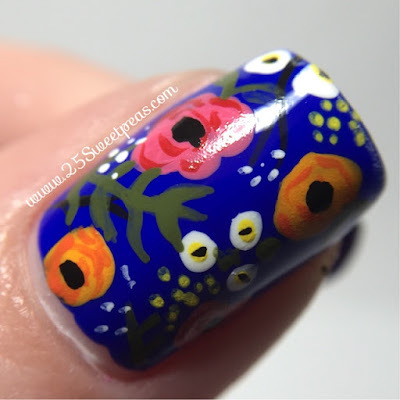 When I paint I only do my left hand once a week since I change the other every night, and I try to keep art simple for that hand but I actually did the floral on both hands! My neck hurt a lot haha!! Now let's get to the pictures because I am so happy with these. 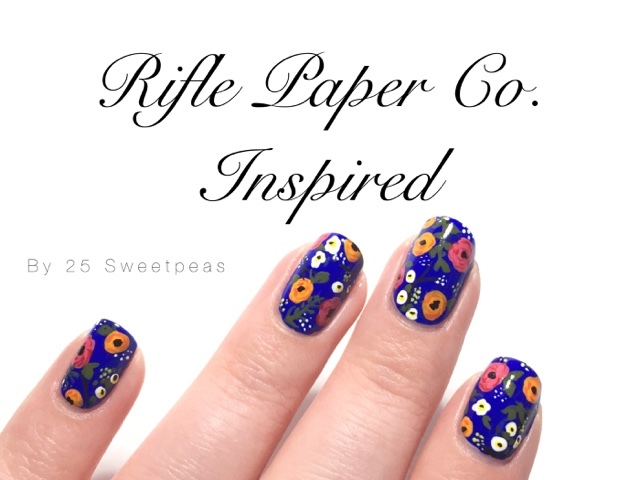 This floral was inspired by a print by the Rifle Paper Co. Just1Nail has done nails inspired by the same print too! Her's are gorgeous! For the base I used a nameless Color Club that is in the line the sell at Charlotte Russe. I really wish it had a name! It's so vibrant and only one coat is needed, really fabulous if I do say so. The floral is all acrylic paint and it was done with a mix of Twinkled T brushes and Berry Wine brushes. Super fun type of print to paint. 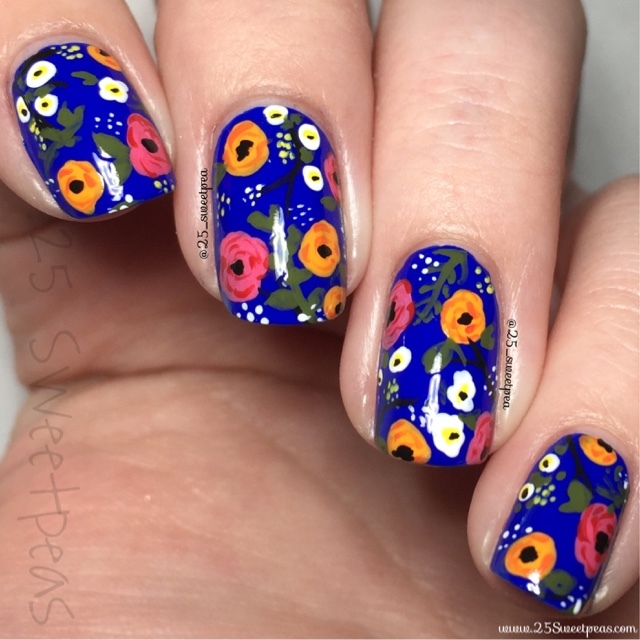 I think I love florals because they don't have to be perfect. Ah I had so much fun! I'm going to wear them longer than a normal mani I think. Really rare for it to be on more than a day! Well I hope y'all enjoyed this post! Can't wait to hear what you all think! Also if you have any requests for upcoming nails please do leave them! Also anyone interested in a Q&A post soon? Happy Painting and have a great weekend!